Cairo sightseeing places are always accessible by classic van with both classic guide and visitor but this would not last forever. Now with this crazy experience you would tour the famous Giza Pyramids and the surrounding ancient landmarks from the back for DUNE BUGGY. 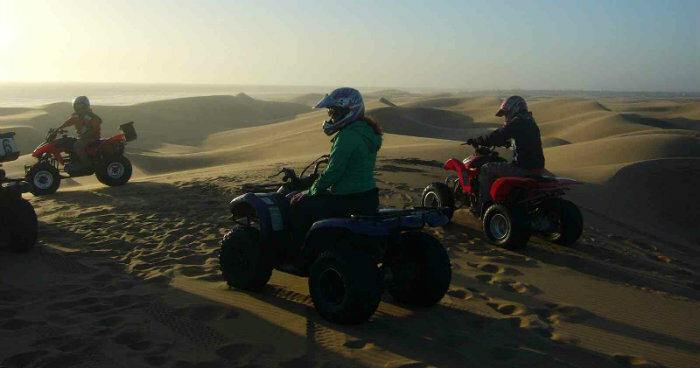 We will pick you up from your hotel at your selected time between sunrise and sunset to wander the wonders of the ancient world with quad biking safari. This unique experiment starts from an oasis in Saqqara desert near the Step Pyramid of king Zoser, once you get into the desert you will be welcomed with a scenic view of the Giza pyramids, Zoser pyramid of Saqqara and the remains of Abu Sir all at the same time. What is unparalleled in this tour is getting there is only half the fun, as the 2 setter 250cc beach buggies with its 40 mph speeds takes you up down and around in exceptional experience that will keep you smiling all time ! Kindly note that Safety is our high concern and all buggies are perfectly equipped.